To purchase a license to use TeachingLaw.com for three years, click the "Add to cart" button under the description of the product you want to purchase on the home page. When you are ready to check out, click on the shopping cart link at the top right of the screen and follow the instructions to check out via PayPal. 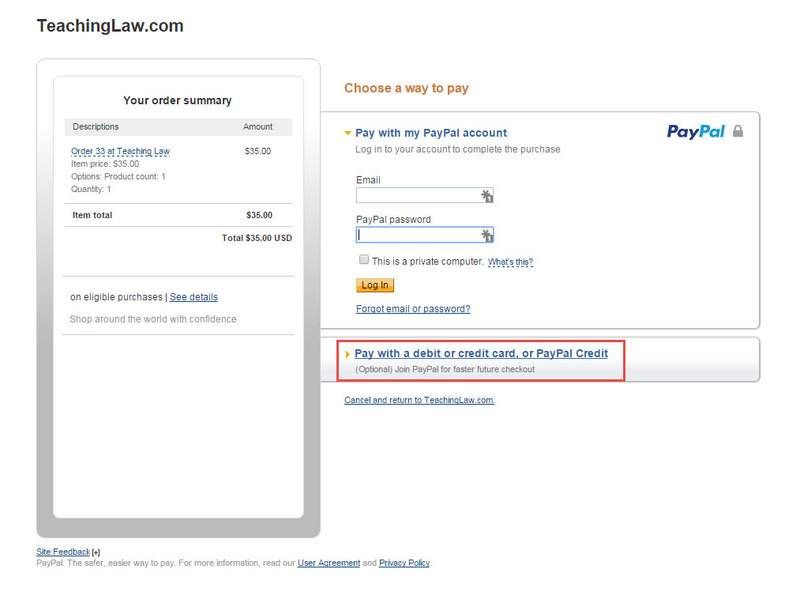 During the checkout process, a TeachingLaw.com account will automatically be created for you. 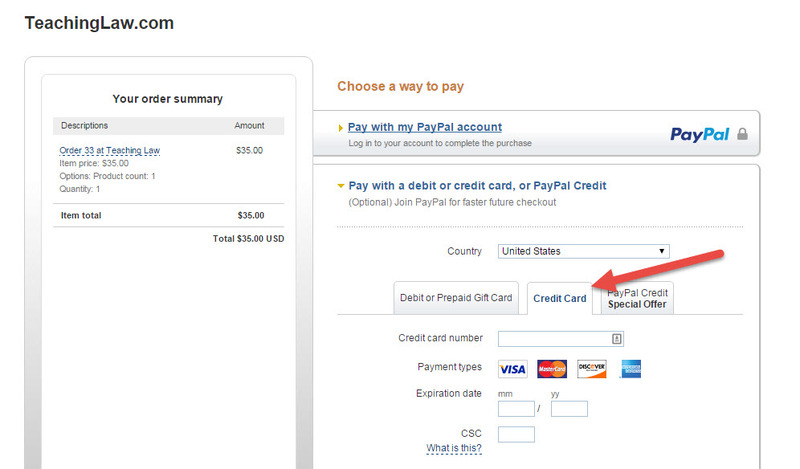 After completing your purchase, you will receive an email containing your username and a link to set your password. 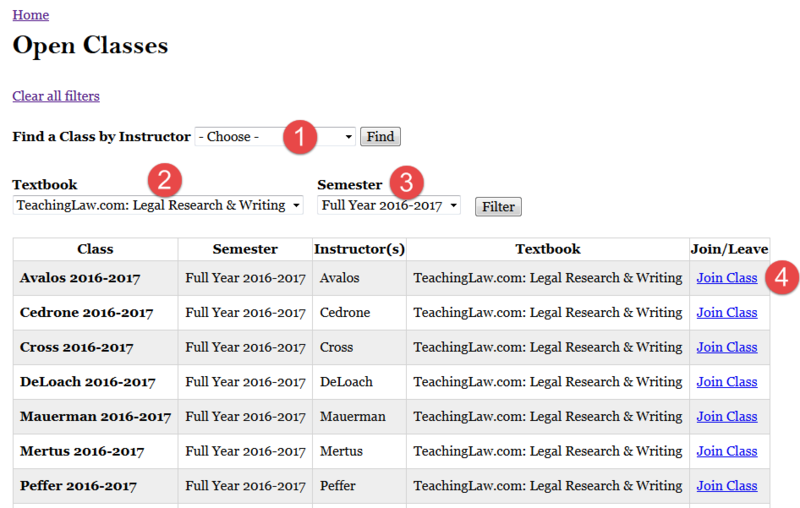 Once you have successfully purchased TeachingLaw.com, log in using the username and password you selected during the check-out process. If you did not receive the e-mail or if you have forgotten your password, you can always click the request new password link to re-set your password (if your username was created for you, it is the characters before the @ symbol in your e-mail address). 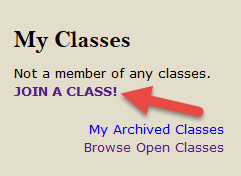 When you first log in, you will need to join a class. The link to do this is found on the left-hand sidebar under "My Classes:"
On the next page, filter either by (1) instructor, or (2) the textbook you are using and (3) the semester or class year the class you are joining will be held. Then find your professor's name and click "Join Class" (4). You can use the My account page to change your username and password.